We selected the four top-selling, snow-capable vehicles to evaluate on a trip to Brian Head, Utah. Each is the best-seller in it segment, but that is about all they have in common. We picked vehicles that were as different as possible to show the range of possibilities for taking that weekend trip to snow. 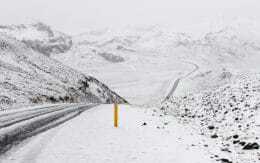 But they all had to be reasonable candidates that function as well on snowy, icy mountain roads as they can on a trip to the grocery story. Here’s the roster: Chevrolet Tahoe SUV, a Ford F-150 pickup, a Subaru Outback wagon and the all-electric Tesla Model X crossover. While the sales tallies for each model vary widely, they are all leaders in their respective segments. Ford’s F-Series trucks are the best-sellers of any vehicle in the U.S. Ford moved nearly 900,000 last year. Chevrolet sold about 100,000 Tahoes. Subaru moved about 190,000 Outbacks, and Tesla delivered 17,500 of its Model X. The Chevrolet Tahoe is a three-row large sport utility vehicle. It’s the best-selling large utility in the U.S. and offers plenty of power and storage space for most winter vacations. The Tahoe is the oldest of the vehicles in the group and was last redesigned in 2014. A new version is in the works, but we estimate that it won’t be available until late next year as a 2020 model. The Tahoe is based on the Silverado platform. All Tahoes include a rolling hotspot and navigation with an 8-inch screen. There is also Bluetooth connectivity and smartphone integration with Apple CarPlay and Android Auto. Backseat passengers can also use the optional Blu-ray/DVD rear-seat entertainment system. When out of range of radio stations or mobile data, the Tahoe includes SiriusXM or ability to scan and play music on a USB thumb drive. Sirius requires a monthly subscription. The Tahoe has an optional suite of safety features that include forward-collision alert with automatic braking at low speeds. It has lane-keep assist to keep the SUV centered, and it has a lane-departure warning that buzzes the driver’s seat – instead of ringing a chime or flashing lights – also as options on the LS trim and standard on the higher LT and Premier models. Pricing starts at $55,580, and the vehicle tested cost $64,715 with options. Trucks.com estimates a typical transaction price for the vehicle we drove is about $60,000. We tested a Tahoe LT with four-wheel drive and optional Z71 Midnight Edition package. It is powered by a 5.3-liter V8 engine with 355 horsepower and 383 pound-feet of torque. The powertrain is mated to a six-speed automatic transmission. Chevy told us the Tahoe LT Z71 Midnight Edition was designed by an employee living in Denver who wanted a Tahoe for ski trips to the Rockies. With features like 18-inch black-painted aluminum wheels, Duratrac blackwall tires, roof cross rails and side-assist steps, it looked the part. Cosmetic tweaks include front and rear Chevrolet bowtie badges that are blacked out rather than in chrome. There’s a special Midnight Edition mesh grille. Ours also came with rubber floor mats. Our test vehicle had the optional automated safety features. The Tahoe LT (as tested) is rated by the Environmental Protection Agency at 16 mpg in city driving, 22 mpg on the highway and 18 mpg overall. It has a 26-gallon fuel tank, giving it a range of about 468 miles. The Ford F-150 is a full-size light-duty pickup truck. 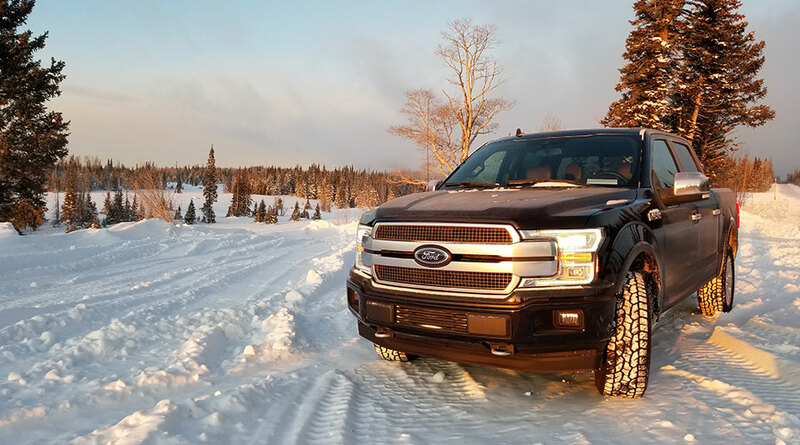 We picked the F-150 because it is the best-selling truck in the U.S. Large four-wheel drive pickup trucks generally perform well in snowy and icy conditions and offer high levels of capacity for stowing gear. This generation of the F-150 was first introduced in 2014. Ford designed it with an aluminum body to shave weight, increase payload and improve fuel efficiency. It was a dramatic change from the steel body of the previous pickup. Ford remains the only manufacturer to make extensive use of aluminum in its pickup truck bodies and bed. Ford is working on a redesign of the F-150 that it will bring out in 2020. The new version will include a hybrid drive option to add low-end torque for extra pulling power and to be used as a mobile generator for power tools. The standard truck model lacks the latest generation of safety features such as forward-collision alert, adaptive cruise control and blind-spot monitoring. The 2018 F-150 SuperCrew price starts at $34,245. As configured, the sticker price of the truck we tested is $67,215. Trucks.com estimates a typical transaction price is about $63,000. The model tested was an F-150 4×4 SuperCrew Platinum with a 145-inch wheelbase. It is powered by a turbocharged 5.0-liter V8 engine with 395 horsepower and 400 pound-feet of torque. The powertrain is mated to a 10-speed automatic transmission. The Platinum trim of the Ford F-150 comes with a comprehensive technology package that includes a 360-degree camera. It has active park assist, enabling the truck to steer itself into a parking space. There is adaptive cruise control, which allows the vehicle to automatically slow and speed up to keep pace with traffic. The pre-collision assist will alert the driver to a potential crash and also slow or stop the truck to prevent accidents. The Platinum trim also comes with automatic running boards that retract once the doors are closed. There’s also a step that drops from the tailgate to make climbing up into the bed easier. When out of range of radio stations or mobile data, the Platinum F-150 includes SiriusXM or the ability to scan and play music on a USB thumb drive. The F-150 4×4 SuperCrew Platinum is rated by the Environmental Protection Agency at 16 mpg in city driving, 22 mpg on the highway and 18 mpg overall. It has a 26-gallon fuel tank, giving it a range of about 468 miles. The Subaru Outback is a five-seat station wagon. We selected the Outback to contrast to the much larger vehicles included in this drive. Some drivers like smaller vehicles and will sacrifice hauling capacity to trade for better driving dynamics, nimble size and improved fuel economy. This version of the Outback was introduced in 2015. It is the fifth generation of the vehicle. Each generation of the Outback typically has a five-year life cycle, so it’s likely a new version is expected in 2020. 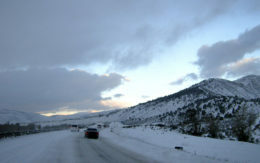 Subarus are especially popular in the Northeast and areas of the Rocky Mountains like Colorado and Utah. The brand is known for capable all-wheel drive and a unique “boxer” engine that is lower and creates a vehicle design with a better center of gravity and improved aerodynamics. The model tested was an Outback 3.6R Touring. All-wheel drive is standard as are roof rails. It’s powered by a 3.6-liter six-cylinder engine with 256 horsepower and 247 pound-feet of torque. It is mated to a continuously variable transmission with a seven-speed manual shifting mode. Subaru’s advanced safety technology package — EyeSight — comes standard on the Touring trim. It includes adaptive cruise control, pre-collision braking and lane-departure warnings. There is a lane-keep assist system that includes blind-spot and rear-traffic alerts. Outback pricing starts at $25,895. As configured, the Outback 3.6R Touring sticker is $39,605. Trucks.com estimates the average transaction price depending on location is $38,400. The Outback 3.6R Touring is rated by the Environmental Protection Agency at 20 mpg in city driving, 27 mpg on the highway and 22 mpg overall. It has an 18.5-gallon fuel tank and a range of about 407 miles. The Tesla Model X is an all-electric crossover with seating for up to seven occupants. We selected the Model X because it is the leading electric crossover-style SUV. Admittedly a category of one. We wanted to test an electric powertrain in a rugged environment that has sub-freezing temperatures and extreme elevation to determine if the Tesla is really a credible alternative to more traditional choices for a snow-weekend vehicle. Every Model X comes standard with automatic emergency braking as well as side-collision and lane-departure alerts. What Tesla has branded as its “Autopilot” capabilities come standard. Autopilot adds adaptive cruise control and lane-keep assist, which can be used together as an extra driving aid. Using cameras and radar, the Model X matches its speed to traffic conditions down to a full stop. It also detects lane markings and surrounding vehicles to keep itself positioned on the road. It’s capable enough to steer around turns. Tesla’s Autopilot technology is impressive, but we would strongly caution drivers to view it as a co-pilot. It backs up but does not replace the driver. Tesla has about 500 supercharger stations with more than 4,000 chargers in its privately built U.S. charging network. It’s proprietary to Tesla and at 480 volts, will stuff enough electrons in the vehicle’s battery to restore about half its charge in roughly 30 minutes. With an adapter that comes standard, the Model X also can be charged at any standard Level Two 240-volt electric car charging station, but it takes longer. 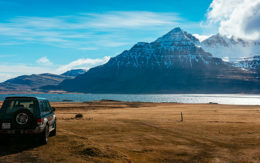 You can even connect the vehicle to a typical 110-volt wall socket, but range increased by only 3 miles per hour of charging. All Model X versions feature a large center-mounted screen that is used for handling most vehicle adjustments. This replaces the typical buttons and controls on a vehicle dash. Don’t expect to use Apple CarPlay, Android Auto or even get SiriusXM. The Tesla will allow you to tap music stored in your phone or access Tesla’s own music service. You can also play music stored in a USB thumb drive. Tesla, which sells its vehicles directly to consumers through its own stores, charges $96,000 for the Model X 100D. The store format has direct pricing. Don’t expect to go in and start haggling like buyers in a traditional car dealership. The Model X came out in 2015. The model tested was a Model X P100D, configured with five seats. It also comes with an optional third row to seat seven. It’s powered by a 100-kilowatt-hour battery and dual electric motors. The powertrain makes the electric equivalent of 762 horsepower and offers up to 289 miles of range. Our Model X has the Enhanced package, which costs $5,000 and features automatic lane-changing capabilities. The driver triggers the turn indicator in the direction they want to move into, and the sensors in the Tesla take over when judged safe, completing the lane change. It also can parallel park itself and be “summoned” via smartphone app from a garage or its parking space. The Model X P100D that Trucks.com tested has a sticker price of $169,250, including 22-inch wheels. However, we had that changed to less expensive 19-inch wheels, which are better suited for winter tires. After adjusting for the smaller wheels, the price as configured was $165,550. The base version of the Model X, which comes with a smaller battery, is $79,500.